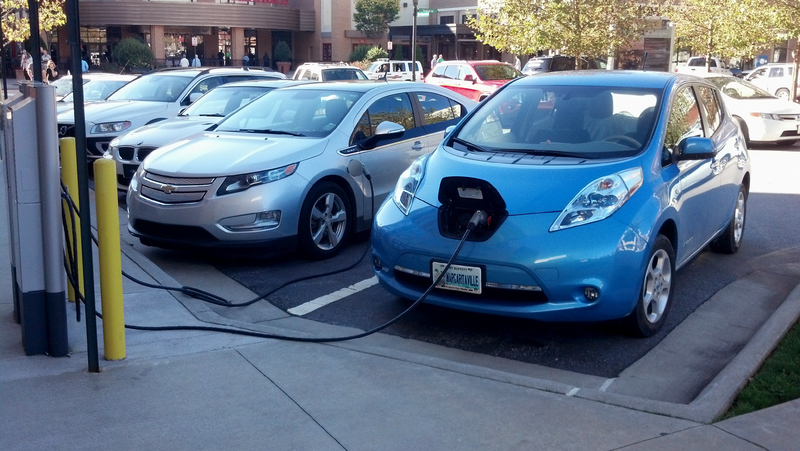 Many critics of electric vehicles will tell you that owning an Electric Vehicle (EV) is very expensive. The 2017 Chevrolet Bolt EV w/200+ mile driving range. No matter the car, just the act of buying the thing means you will have to pay weekly, monthly and yearly “subscriptions” for the fuel, repairs, tax, insurance etc…just for the privilege of owning and driving the thing. To me the logical choice is to buy the one that fits your needs and is more, well…logical. When buying a vehicle I take a scientific approach and try to leave emotion out of the decision so as not to be swayed by peer pressure (from friends, coworkers and the myriad of flashy automotive ads that saturate the mass media) or manufactured conformity (buy this car to be cool, look good, or “fit in” to some imaginary status caste) or manufactured demand (you need this-you need that–because without it you will be nothing so buy,buy,buy!). Nor do I listen to annoying, obnoxious, car salespersons like this guy. I listen more to owners who post their stories and experiences on automotive blogs such as this one 🙂 and then I do all of my own extensive research and crunch my own numbers before making a final decision based on my findings. 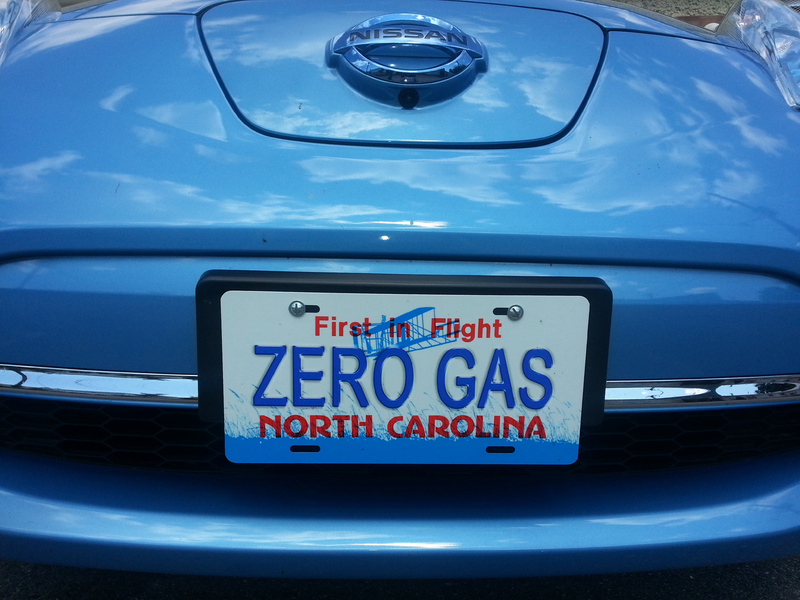 Buy a gas powered car and pay the (higher) subscription fee for the gas, oil and tune-ups and resulting environmental damage cost caused by the cradle to grave environmental and human cost of the mining, shipment, refining, and distribution of those petroleum products that the vehicle requires to operate. Also, when I drive a petroleum powered vehicle I am willingly but not happily forced to accept the sad but true fact that the actual end use of all petroleum based fuels requires much less time to actually burn the fuel to propel the vehicle down the road from point A to point B…than the entire complicated and precarious supply chain that has been constructed to bring that fuel to my car’s fuel tank. In other words depending on the country of origin of the crude oil it can take weeks to months to explore, deal, mine, protect, trade, ship, refine, store, and transport the fuel to the station where I finally pump it into my tank and then burn it up in only a few days or even a few hours. Then there is the sad facts that it takes 44 gallons of water and around 15 kilowatts of energy to mine, ship and refine just one gallon of gasoline–ONE GALLON! That is about half of the amount of water I use in a day and that 15kw of electricity would push my Nissan Leaf EV about 50 miles down the road! Now if you really want a shocker multiply the above numbers times how many gallons of gas your car holds and if that does not make you furious with the oil companies I do not know what will? I did the math for my 1999 Toyota 4Runner and the results are shocking: the amount of water required to produce just one tank of gas is: 814 gallons!!! The electricity needed: 277.5 kW!!! WOW! By my calculations that amount of water and electricity would supply my wife and I, our house and EV for over 2 weeks (with my car going an average of 200 miles/week)!! Now, figure that for a month…a year…or a decade…of petroleum powered vehicle ownership…it just makes me want to cry. My rather long-winded but valid point here is that the amount of energy and waste required just to get us down the road in gasoline powered vehicles is just incredible! There is also the huge cost in human damage, suffering, pain and death caused by the fact that the acquisition of a portion of those petroleum products come from powers and factions that may support terrorism with some of that money. These powers and factions often become involved in wars that drag us into the melee because we are addicted to their product for which many of us cannot live without due to our societal dictated and manufactured purchasing choices so we are forced to fight in their wars in order to keep the oil flowing to feed our sickening dependency. We are shamefully and totally hooked on oil. Last but not least there is the environmental damage and degradation caused by the mining, shipping, refining and burning of petroleum (and all) fossil fuels. We have been burning petroleum as our primary liquid fuel and coal as our primary solid fuel for a little over a century and in that very short time we have polluted our planet’s oh so very fragile atmosphere, oceans and wildlife with toxic compounds from oil spills and copious amounts of carbon dioxide–a naturally occurring and harmless gas when in “normal levels” but when in excessive levels it becomes a potent “greenhouse gas” with disastrous effects on life on earth. It is true that CO2 has positive properties when in “normal levels.” If you think back you learned of this in your high school biology class. You will remember that it’s positive properties are; 1. It allows plants to grow and via photosynthesis create oxygen as a byproduct so animals like puppies and kittens, bunnies and whales, and you and me get to live. 2. Another one of its positive properties is that when it is in the form of atmospheric CO2 it traps heat like a blanket on a bed. This heat trapping ability allows the atmosphere of the earth to stay warm enough for life to exist and that my dear reader is a good thing in every way. It is time for a big change. KUWAIT. US soldiers and helicopters in front of burning oil fields. 1991. 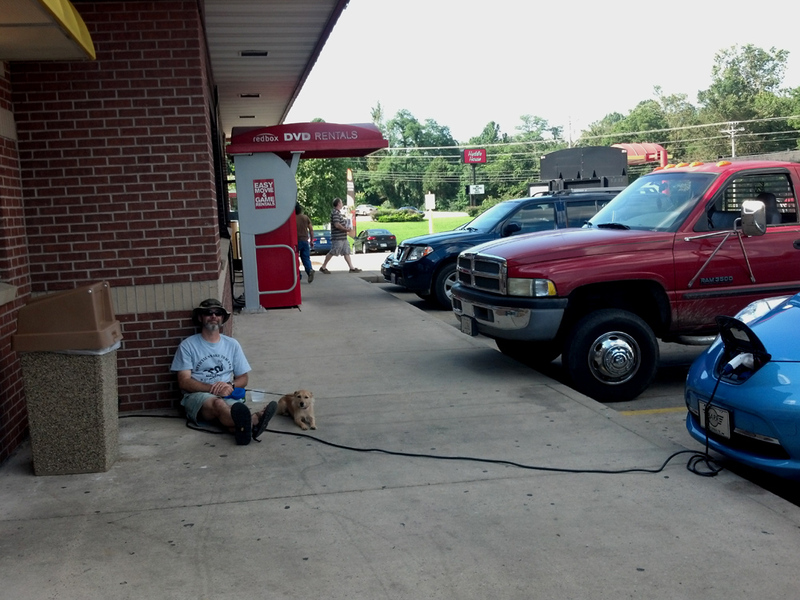 The human cost of driving EV is also MUCH more positive in that foreign wars do not need to be fought over their fuel source–electricity–since it is produced domestically, locally and in some cases on your own property! 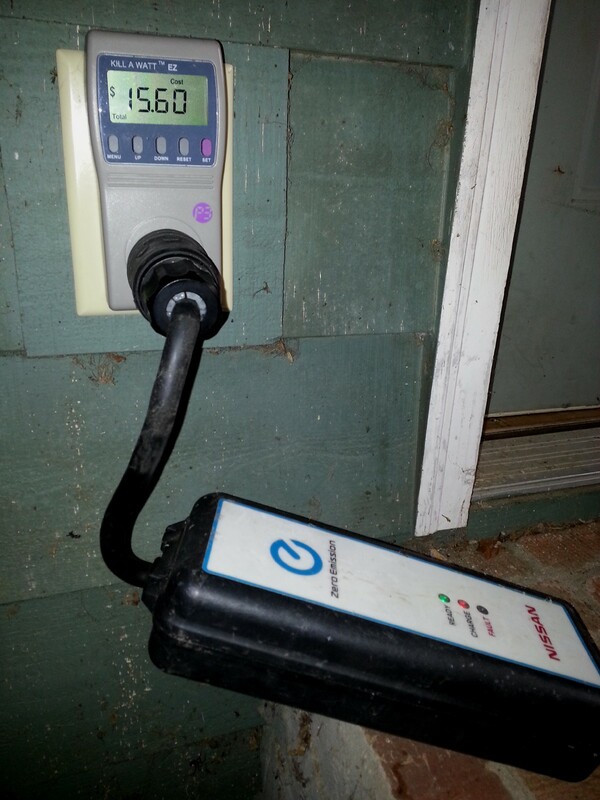 If you have the means to install solar panels or some other form of renewable energy on your property you could easily power your home and EV(s) with clean, unlimited, renewable energy for free (after the cost of the system). That my friend is brilliant! 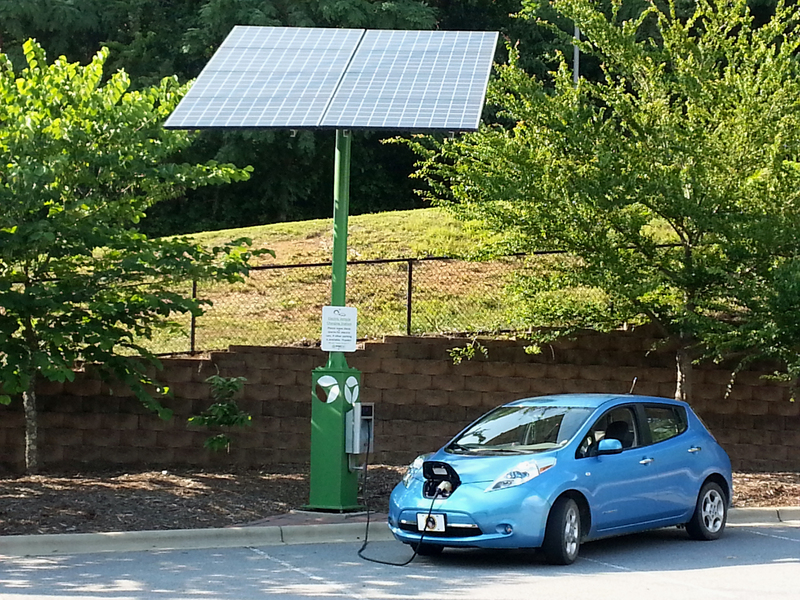 Charging up my Leaf at a local solar-electric EV charging station on the campus of UNCA in Asheville, NC. The sad fact is that now, in many states such as Florida and in my home state of North Carolina, our state government is hell bent on destroying renewable energy development despite the fact that NC is near the top in the nation for new solar installations which, if allowed to continue to grow, our energy grid would continue to get cleaner with each renewable energy installation and in turn the carbon footprint of our homes and our EV’s would just get smaller. There is absolutely no logical reason this kind of backward action should ever be allowed to happen yet our lawmakers and politicians seem to be simply backward thinking Luddites who fear anything new and fear positive change especially when it means good paying jobs, a cleaner environment, and equal rights for all people. If we ever want to progress and if we ever want to break our addiction to fossil fuels we MUST get the fossil fuel fired old fossils out of office and replace them with science minded, educated, caring people who think toward the future and want to make good and lasting change happen for everyone. That change will only happen if we do our research, speak out, vote, and get active. Either way and whatever car I choose to drive I will always have to pay the subscription to dependency to drive and power the thing…however, I choose the EV because it has a much lower subscription cost* and a much smaller environmental, human and future impact cost and that is as important to me as is the money. 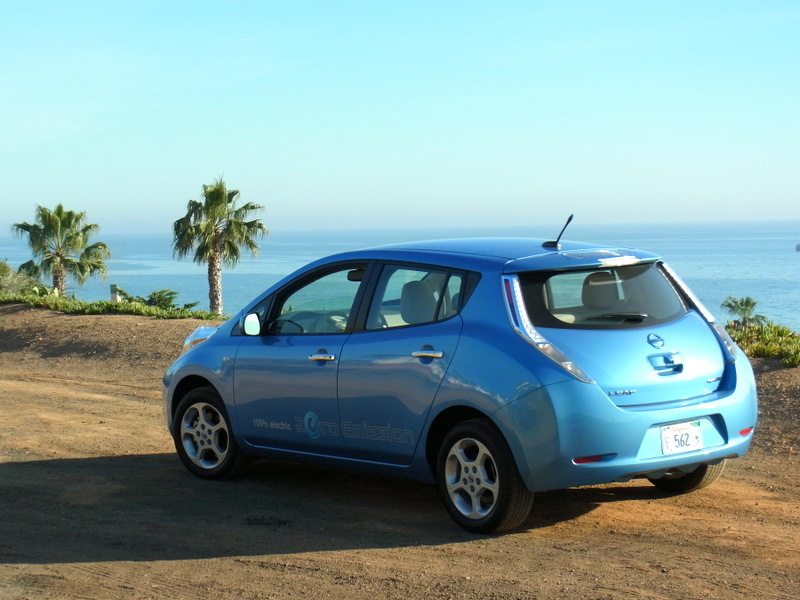 *I drive an average of 200 miles/week and my Nissan Leaf EV costs me only about $7-10/week in electricity!! In conclusion; my sleuthing, science and number crunching all allow me to come to the conclusion that I would rather pay for the financing on the EV than drive a lower initial cost yet high operational, high environmental cost, petroleum powered car…but that is my logic, and everyone’s logic is colored and molded by their knowledge, research and experiences so you can take it with a grain of salt if you wish. The Nissan eNV200 100% electric small van. Do not believe the fossil fuel fed naysayers who have spent millions on manufactured lies, false advertising through mainstream media outlets and propaganda campaigns (online and on TV) that try to say electric vehicles are dirtier to operate than their petroleum powered counterparts–none of these stories are true. The oil soaked Koch brothers are some of the worst EV bashers who are spending millions in the attempt to make EV’s and renewable energy look bad. We must do all in our power to end their assault of outright lies against science. 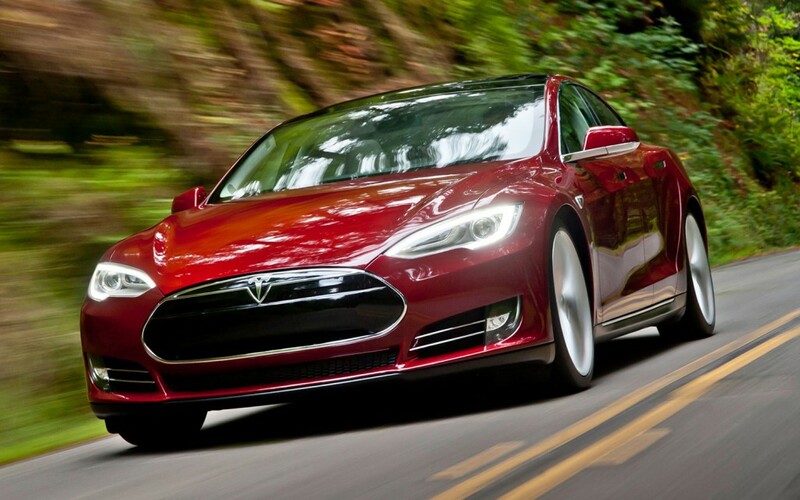 The 215 mile range Tesla Model 3 will be hitting the roads very soon! With Chevrolet and Tesla soon to be releasing new EV’s with a 200+ mile driving range, and Nissan releasing their plans to release a redesigned Leaf with 200+ mile range but they have not revealed the release date, (and hopefully they will also release a 200 mile range small van that would be a game-changer! Check out the story I wrote about it here on this blog: https://bluewaterleaf.wordpress.com/2015/10/25/the-env200-nissan-electric-van-where-and-when-is-it-for-the-usa-market/ ) all with prices in the $30-35k range (before the $7500 government tax incentive) Soon, the issue of “range anxiety” is going to be a thing of the past and we will all have no logical excuse to keep driving our dirty old gas guzzlers. The Nissan IDS concept…is this the new Leaf or something more!? Soon, I believe within 3-5 years, the choice will be ours to go electric and support a clean, healthy war-free future for us all or…digress and remain in the past while denying the science and refusing to accept the inevitable truth that driving EV is just a better and more economical way to drive for everyone, for the planet and for the future. 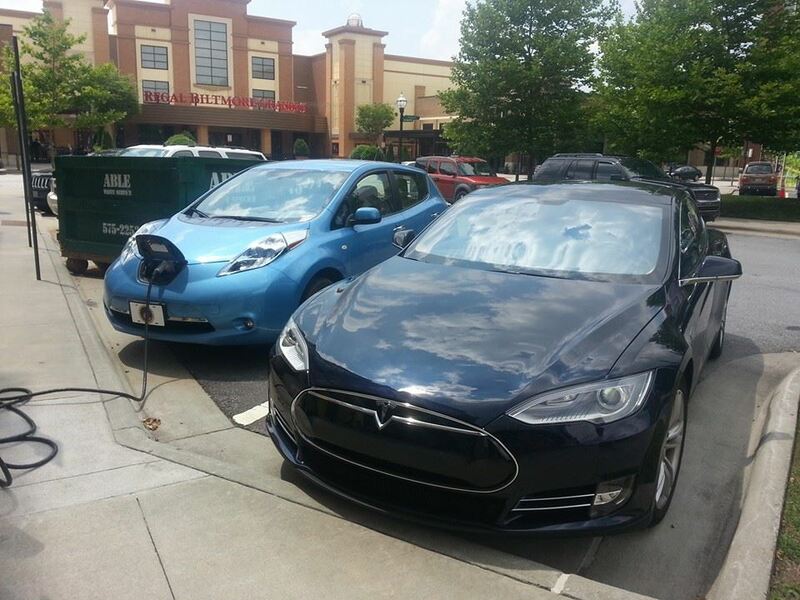 Asheville Outlets throws switch on new EV charging stations! 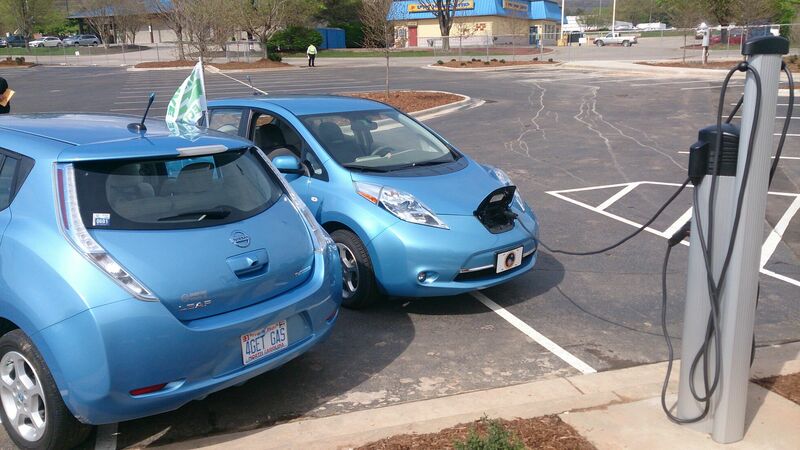 On Saturday May 18, 2015, in honor of Earthday, the new Asheville Outlets held a grand opening ceremony for two new electric vehicle charging stations. 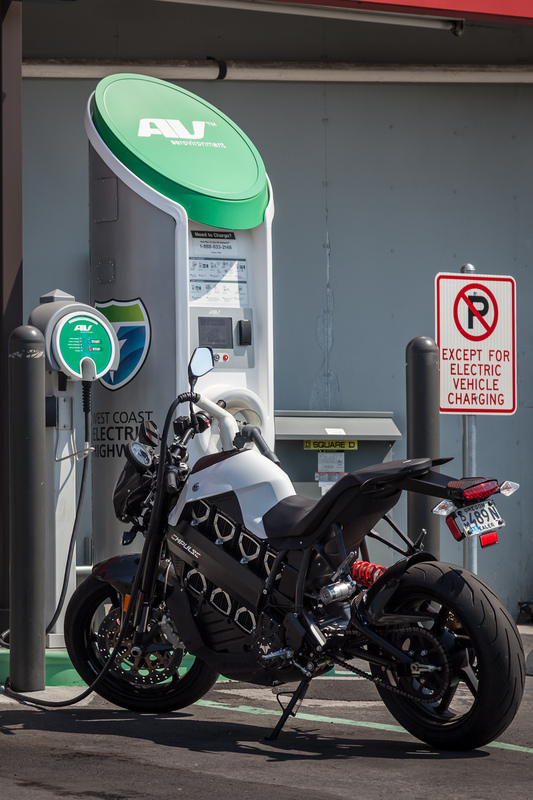 These two new Chargepoint charging stations are located in the front parking area of the Asheville Outlets shopping complex at 800 Brevard Road in Asheville, NC. 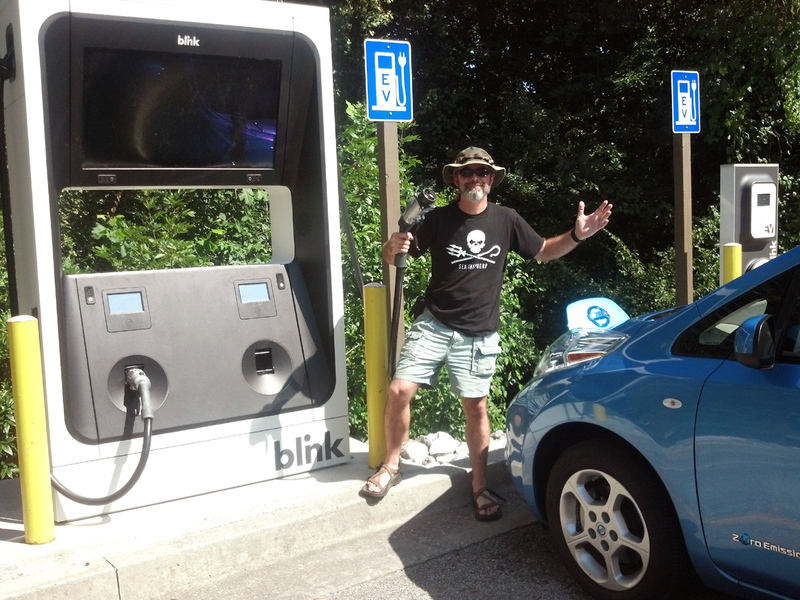 The event was hosted by Asheville Outlets management with several members of the Blue Ridge EV Club in attendance to mark this groundbreaking occasion. Watch a video of the inauguration ceremony below. 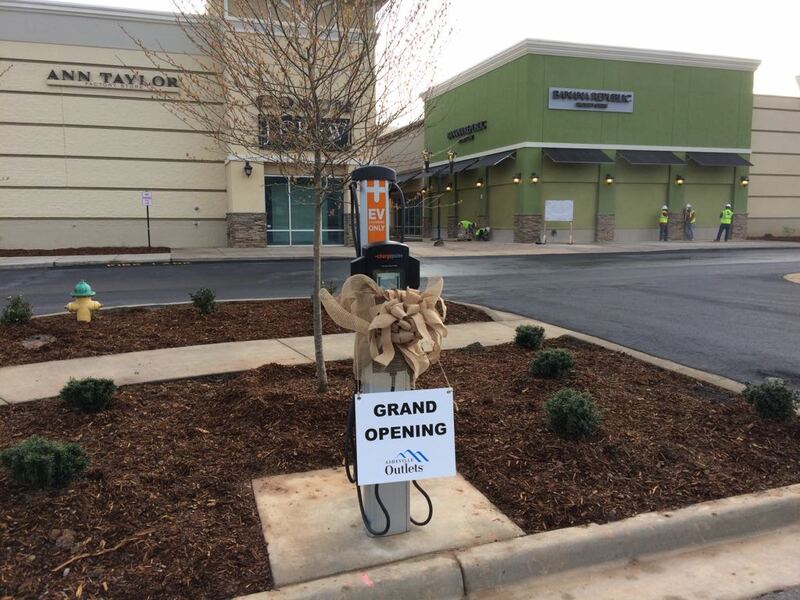 Asheville Outlets will be opening to the public on May 01, 2015 and at that time they will be powering up two more Chargepoint Level 2 charging stations for EV drivers to use while visiting this beautiful new outlet mall. 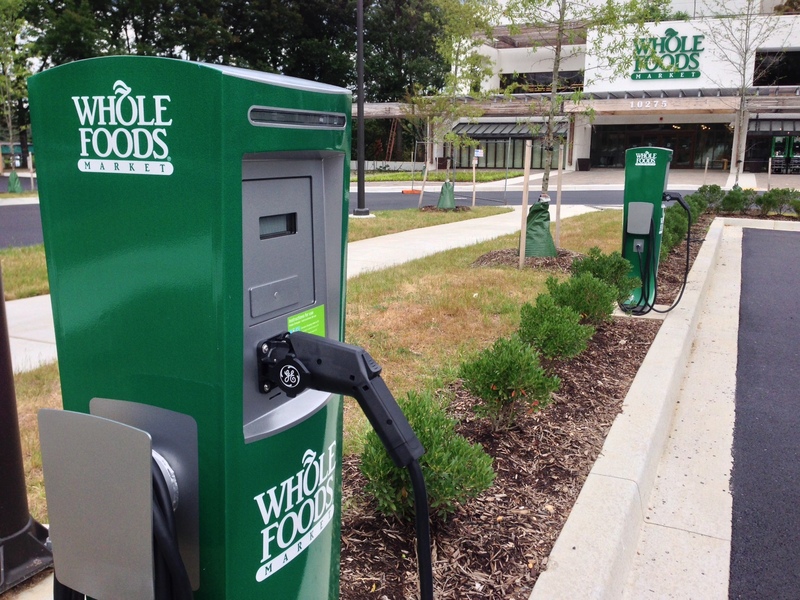 All four charging stations will be free for use however, drivers will need a Chargepoint card to activate them. This forward thinking move by Asheville Outlets reflects a growing trend among business owners, cities and towns all across the country. 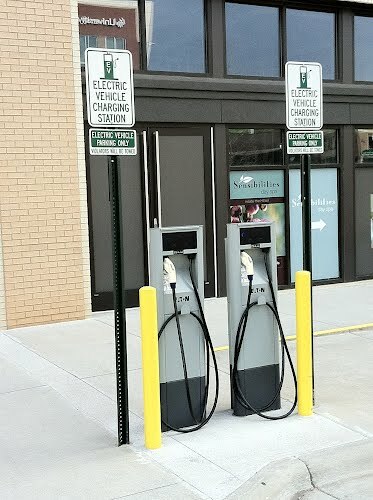 This trend, as discovered by ChargePoint, is “the installation of an EV charging stations increases customer “dwell-time” significantly -by an average of 50 minutes per customer according to one business customer.” The Sierra Club also recently reported that Small Businesses are Installing Electric Vehicle Charging Stations as a way to attract new and loyal customers. 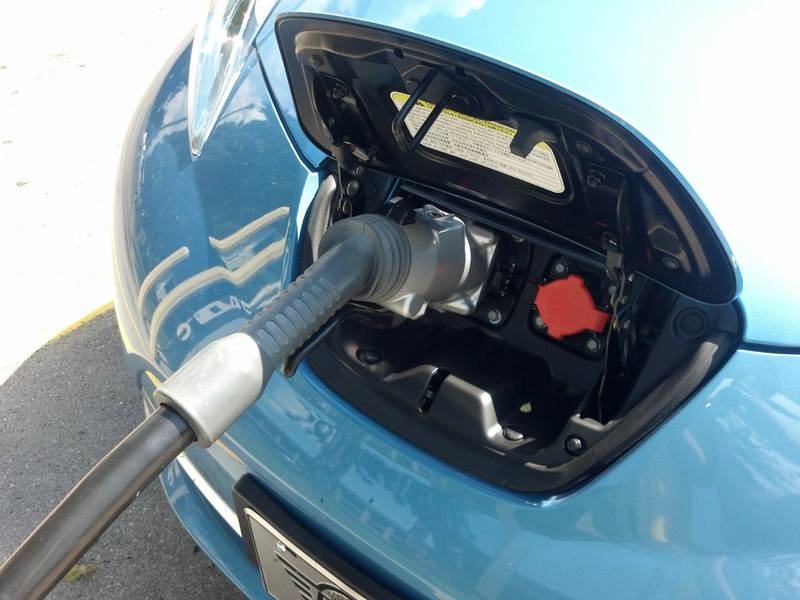 It seems that the studies are showing that by installing EV charging stations customers will have more time to visit businesses and spend money in the local community and what is good for local businesses is good for the local community. 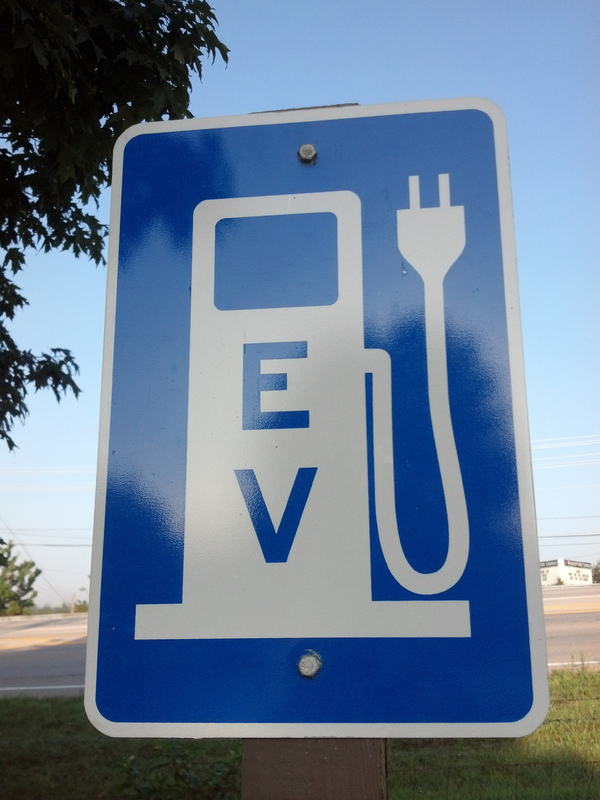 If you are a small business owner, local city planner, or official, you may want to consider the benefits of opening your businesses and your communities doors to EV drivers because it can only be good for business. Watch on the local news. Sunday afternoon, September 21, 1-4 pm. 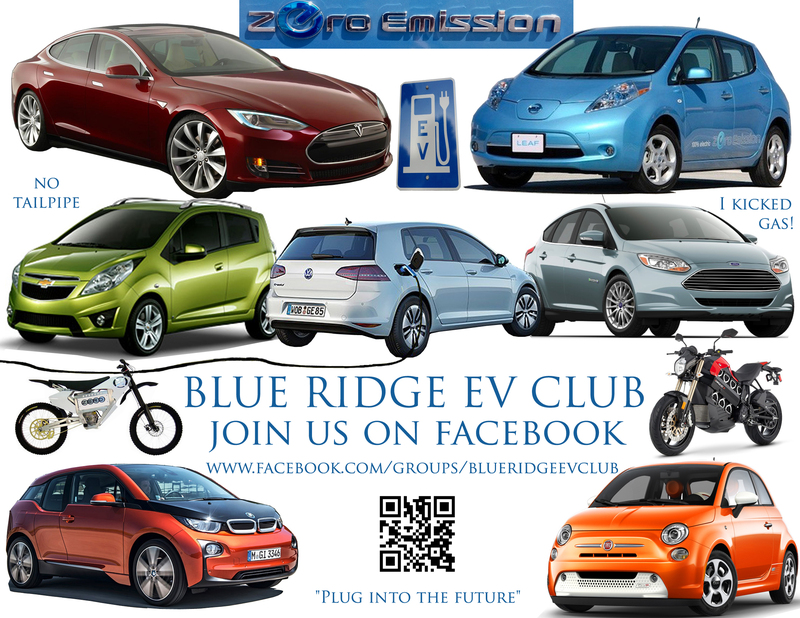 Meet members of the Blue Ridge EV Club & join up! 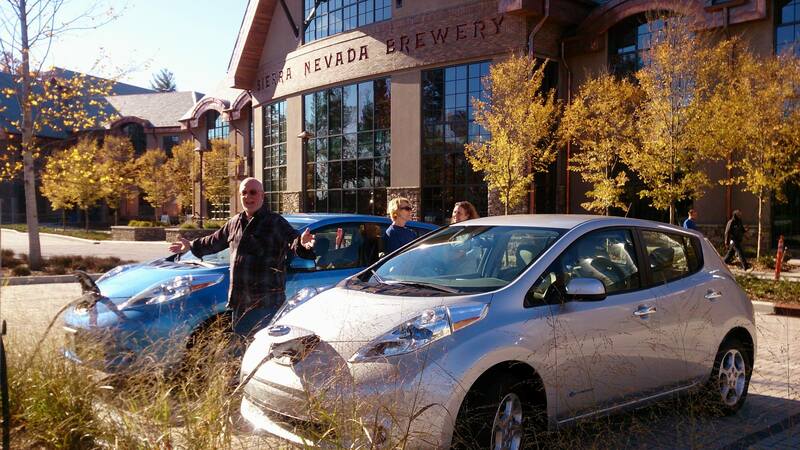 Come out and ride in or drive an EV! 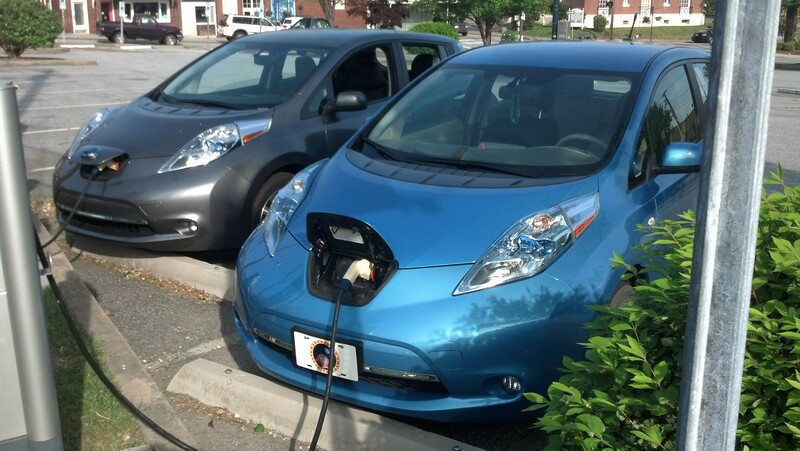 Learn for yourself why Electric Vehicle sales have doubled in each of the last three years. Once on the site just fill out some information and click the “Contact” button to give the organizers your request. Wednesday Aug 20, 6-7:30pm, Oskar Blues in Brevard, NC. Talk with owners, see cars & sign-up for 9/21 event. Thursday Aug 28, 6-7:30pm, Southern Appalachian Brewery in Hendersonville, NC. Talk with owners, see cars & sign-up for 9/21 event. Saturday Aug 30, 8am-12 pm, Transylvania farmers Market – Farm Fair in Brevard, NC. Talk with owners, see cars & sign-up for 9/21 event. 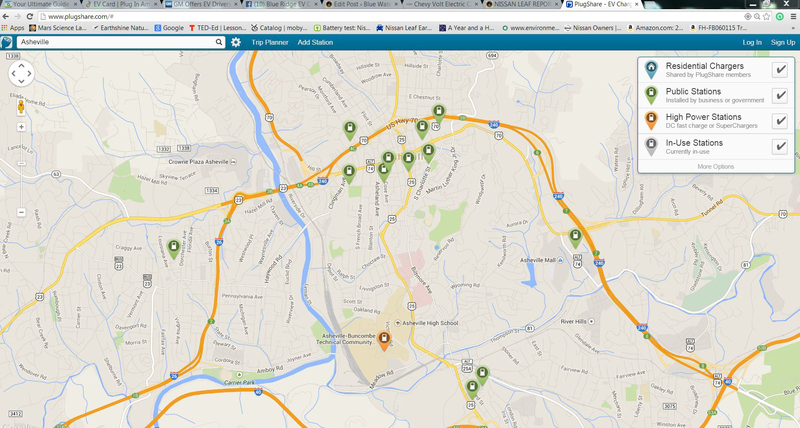 Saturday, Sept 13, 8 – 1 pm, North Asheville Tailgate Market, UNC-Asheville Campus. Talk with owners, see cars & sign-up for 9/21 event. 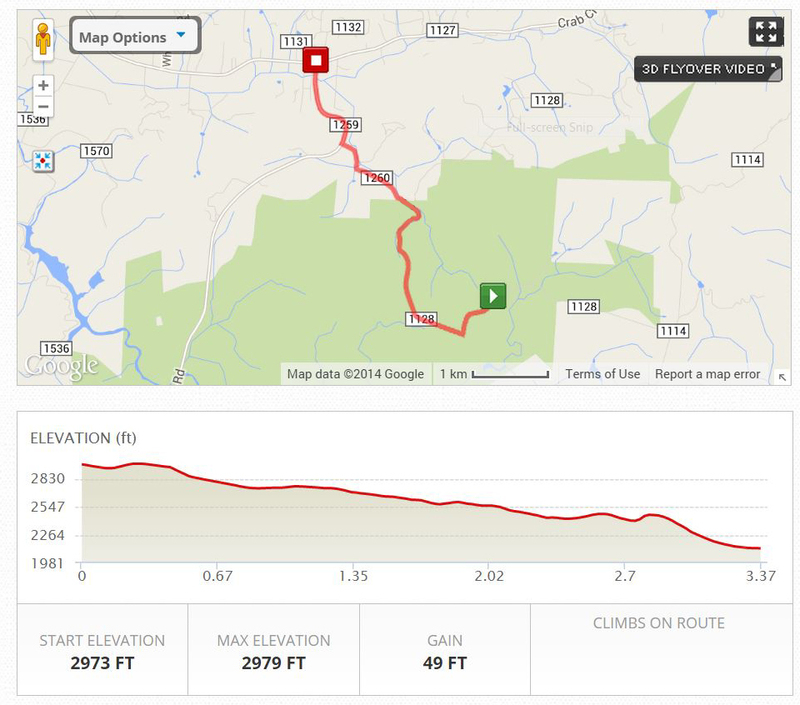 Wednesday, Sept 17, 2:30-6:30 pm, Weaverville Tailgate Market, Weaverville, NC Community Center overlooking Lake Louise. Talk with owners, see cars & sign-up for 9/21 event. Saturday, Sept 20, 10 am-6 pm, Weaverville Arts ‘N Autumn Festival, 30 S. Main Street, Weaverville, NC outside of the Town Hall. Talk with owners, see cars & sign-up for 9/21 event. Saturday, Sept 20, 8 am-1 pm, Asheville City Market at the Asheville Public Works Parking Lot, 161 S. Charlotte St, Asheville, NC. Talk with owners, see cars & sign-up for 9/21 event. 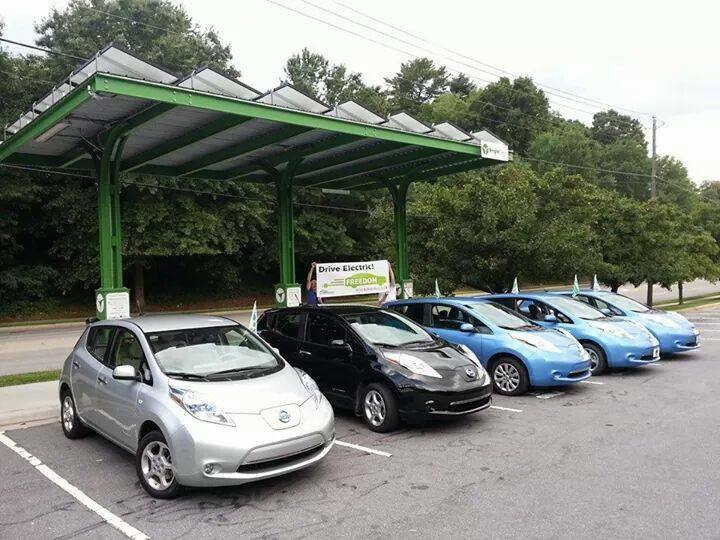 These events are organized by the Blue Ridge EV Club (https://www.facebook.com/groups/blueridgeevclub/) and Land Of Sky Clean Vehicles Coalition (www.cleanvehiclescoalition.org) with help from NC Department of Environment & Natural Resources. BREV Club is not responsible for ads that may appear below this line. 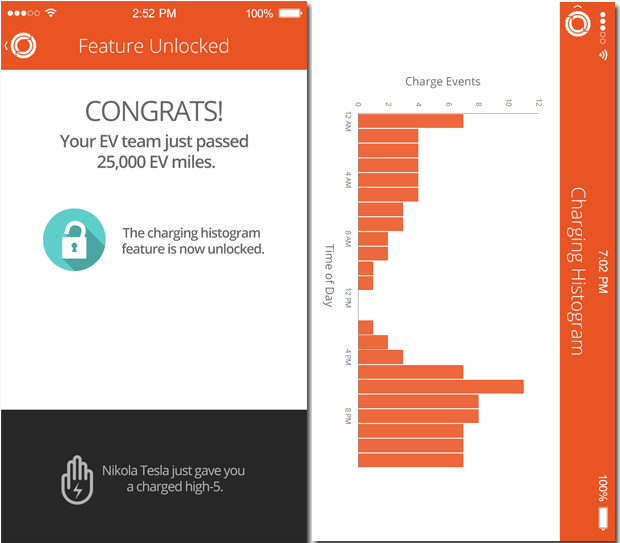 This is one of the greatest ideas in EV data monitoring I have seen yet! If all EV drivers had one of these vehicle data loggers we could all keep better track of the health of our EV’s battery, monitor our energy usage, and communicate and compare results with other EV drivers across the region! But why would an EV driver want to log data from their EV? I want to keep an eye on the health of my battery. I want to track my range throughout the year to see the impact of the weather, and to compare this to other EV owners in my area. The other data system you use went down. Again. 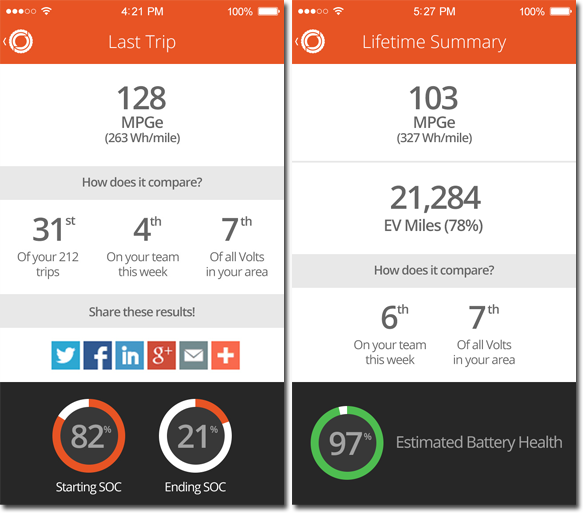 I love my car and want to share my results with others that are in the EV community, and those that are considering becoming EV owners! It gets better! The myEV APP and window sticker. And then there is the window sticker. When you display the window sticker it tells other EV drivers that you are a member of a MyCarma myEV “team” consisting of a number of local EV’s. 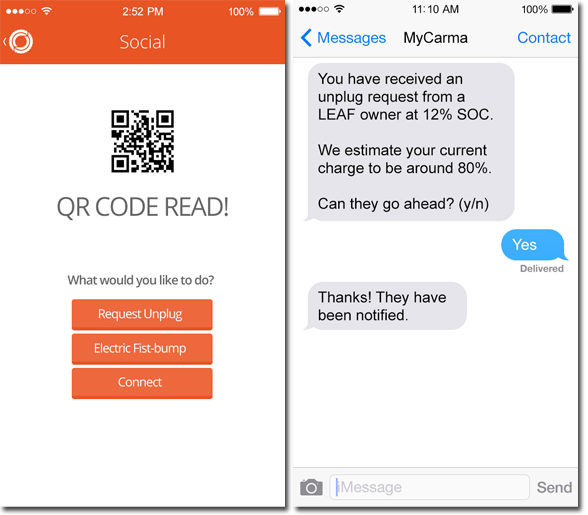 When you encounter another EV “out there,” you can then scan the QR code on the sticker and either send the driver of the EV an “electric fist bump” for driving electric or, if they are charging and their EV’s SOC (State of Charge) is higher than yours, you can text to request to unplug their car so you can get a charge. 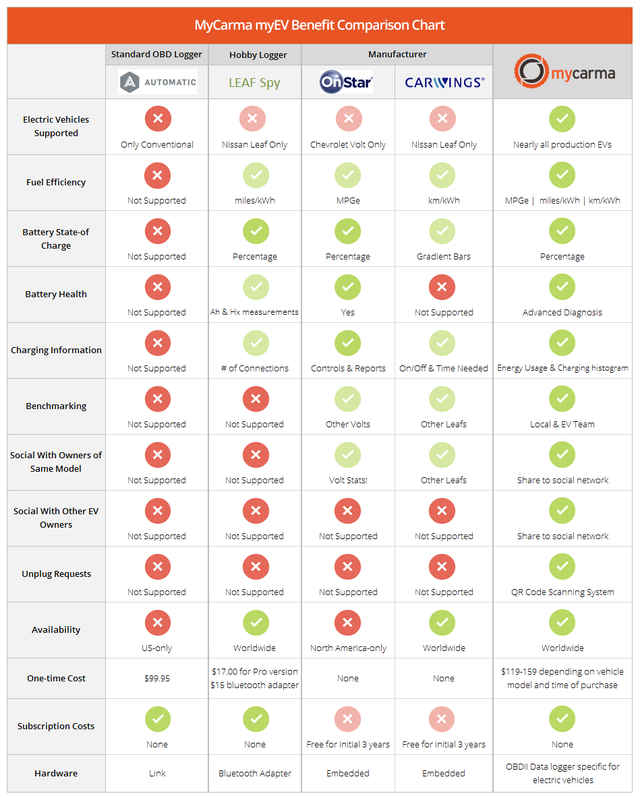 Just read on to compare the myEV to the competition and see the benefits. So where can you get one of these remarkable new high tech toys that actually are not a toy but a useful high tech tool for helping you monitor the health of your EV? That is the catch…the myEV it has not been produced and offered for sale to the public just yet. MyCarma, The company that makes the myEV data logger is running a crowdfunding campaign on Indiegogo to fund the units creation. You can be a part of the creation of this wonderful new tool by contributing to the cause and help get this project funded and then one day you can have your own myEV! Watch this short video about the myEV and learn why you should help make this amazing tool a reality. Learn more about the myEV on their Indiegogo crowdfunding page and consider becoming a part of something amazing! 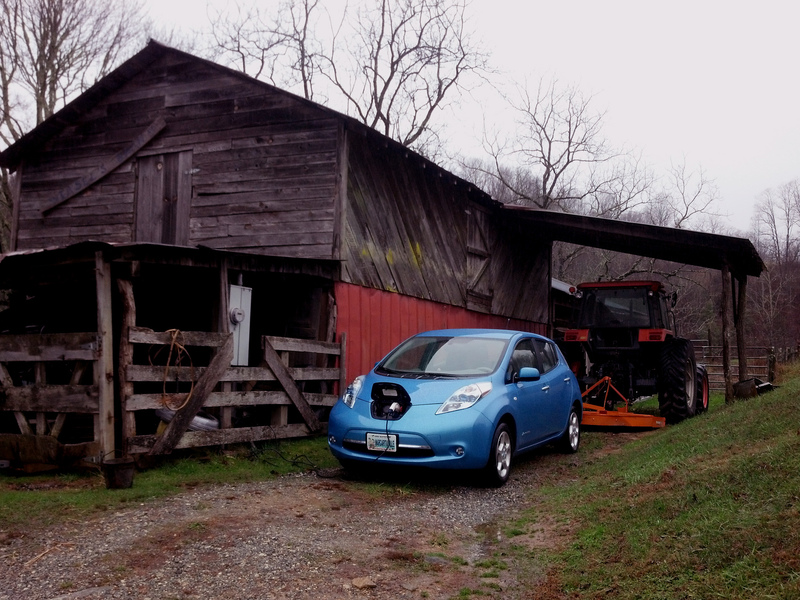 NOTE: If you live in the Western North Carolina/Upstate South Carolina or East Tennessee area and drive an EV, please consider joining The Blue Ridge EV Club where we share EV information, news, stories and pictures as well as promote our EV’s and amazing new future tech like our EV’s and the new myEV! Bluewaterleaf is not affiliated or responsible for any adds that may appear below this line.